Vintage Wedding Themes are the latest trend and many couples like to have classic-style weddings with various vintage trappings. While it may seem like an easy task to plan these weddings, it really can be quite challenging to get all the elements right and to ensure that the theme flows seamlessly through the invitations, décor, reception setting, the furniture choice and embellishments etc. However, the best way to go about this is to hire the services of a company that specialises in Vintage Wedding Hire. 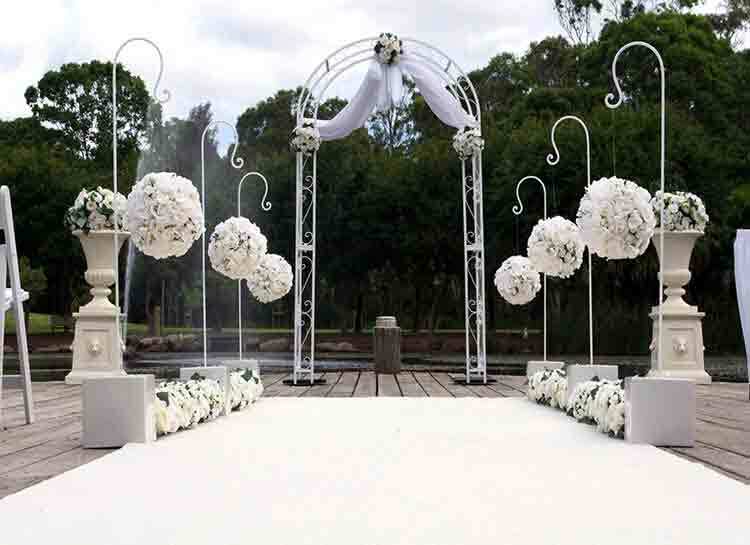 We at Adorable Wedding Concepts are one of the leading outdoor ceremony and wedding decorators; and couples from far and wide hire our expert services to ensure their wedding venue looks as unique and stunning as they want it to be. Planning a Vintage Wedding Theme is a lot about creating an ambience that has the romanticism of the past. This theme is typically carried through the bride’s wedding dress and her hair styling, the groom’s attire, the entire setting and cutlery and food etc. We have the creativity, knowledge and experience to provide superb, customised vintage wedding idea options that will fit perfectly into your budget. We know that you will have some specific ideas about how you want everything planned and we always keep these in view while providing various concepts and design themes. Some couples that approach us want an entirely vintage affair, while others prefer that the wedding and reception be more modern, with just a smattering of well-placed historic detailing. The type of lighting that is installed at the wedding venue plays a significant role in the overall effect of your Vintage Wedding Theme Ideas. We focus on using mood lighting and add elements such as timeless chandeliers and antique holders over the reception tables and other strategic locations across the wedding venue. The runners and table skirting etc. will also fit in perfectly with the vintage theme. We use detailing the best and most well-finished décor to create spaces that are beautiful and have the timeless appeal you want at your wedding venue. We are the multiple award-winning decorators that can provide you the kind of Vintage Wedding Decorations you need. Feel free to call us at Adorable Wedding Concepts with your wedding event requirements. The number to call is- 0418624225. Speak with our experts about your requirements and they will provide you with various options for you to choose from. You can also send us the details about your special day via this online form, and our knowledgeable, friendly and professional experts will call you soon, to discuss the plans and budget. Our country is blessed with vast and varied natural beauty as well as warm weather. And Sydney and the surrounding areas have a large number of amazing beaches that beckon you to spend more time outdoors. Its little surprise then that many couples prefer to have an Outdoor Wedding. Over the last 15 years, we at Adorable Wedding Concepts have help decorate some of the most stunning Outdoor Wedding Setups for couples across the region. We know that every couple wants their wedding event to be unique and that’s exactly why we always adopt a customised approach to outdoor ceremony and decoration projects we take up. We can organise any type of wedding you like- ranging from chic contemporary to elegant and classic functions. If you want a romantic garden or yard event, we can plan that beautifully for you. If a vintage theme is more your style, we can do that too. Regardless of whether you want to utter the magic words in a dramatic setting like a mountainous area or prefer a beach setting, or even a rain forest environment, we are the Outdoor Wedding Hire experts that can manage it for you in the best possible way. 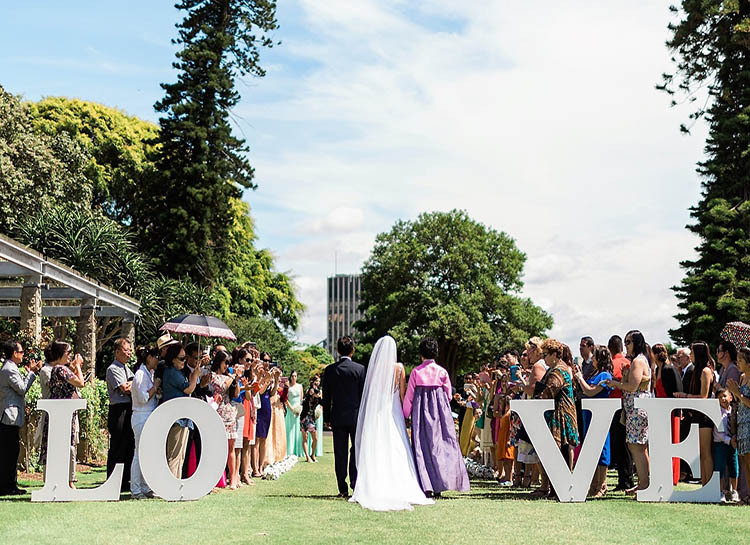 In addition to these, we organise Refreshments Tables, Coloured Sashes in more than 50 different colours, Giant LOVE Signs, Umbrellas (Large) | Suitable for musicians and Umbrellas for guest seating areas (large and small), and Umbrella Stands. We are the multiple award-winning decorators that can provide you the kind of Outdoor Ceremonies solutions you need. Feel free to call us at Adorable Wedding Concepts with your wedding event requirements. The number to call is – 0418 624 225. Speak with our experts about your requirements and they will provide you with various Outdoor Wedding Ideas options for you to choose from. All of these are entirely customisable and we can provide you the kind of solutions you need at a very competitive cost. You can also send us the details about your special day via this online form, and our knowledgeable, friendly and professional experts will call you soon, to discuss the plans and budget. Planning an outdoor wedding is no mean feat. It involves a lot of planning and thought. Indoor weddings and receptions are considerably simpler to organise, as there are fewer things to worry about. In comparison, an outdoor wedding poses certain challenges like weather conditions, uneven ground surfaces and no perfect spaces to set the decorations and décor. However, when you hire the services of a company like ours that specialises in organising outdoor ceremony and reception decorations, you are assured that the space will look stunning in every way. Adorable Wedding Concepts is a company that has been steadily and consistently providing high grade solutions to couples, in and around Sydney. We have been operating in this space since 2001, and since that time have designed and planned some of the most stunning wedding venues the city has seen. Even when the backdrop is breathtakingly beautiful, when a few well thought-out upgrades are added, it forms a more well-balanced whole that helps create the kind of atmosphere you want. One of the most important aspects of a wedding venue is the aisle. It becomes the focal point of the wedding as the bride and her bridesmaids walk through it. It also means that the attention of all your guests will be riveted to the entourage. This makes it all the more important to ensure that the setting is just right. 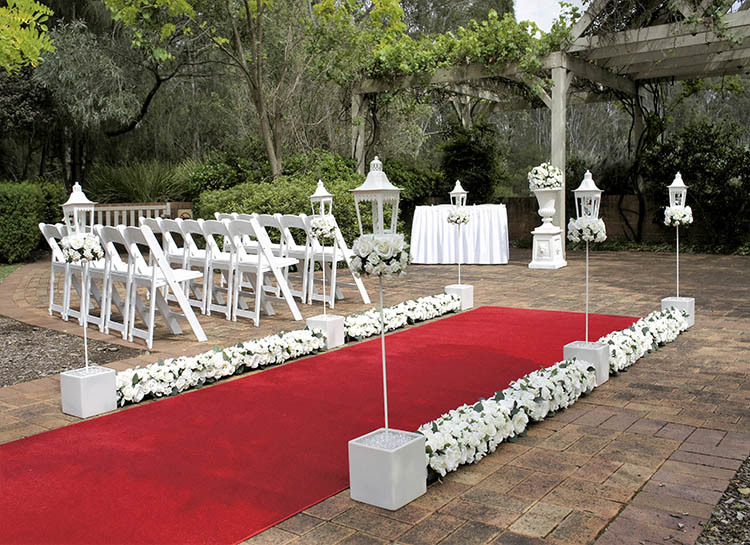 We provide very unique and attractive, Outdoor Wedding Aisle Runner Ideas. When couples come to us with their requirements, to discuss their plans and ideas, we pay careful attention to what they want and then provide solutions that are right in line with their needs. If you like something extremely glamorous, we can line the Affordable Custom Aisle Runners with candles or miniature lights. If you prefer a more vintage or Rustic Outdoor Wedding Aisle Decorations, we can provide those too. Many of our clients like features at their wedding venue to be more in-sync with their likes, and this is where our special Personalised Wedding Aisle Runners come into the picture. In simple words, the Outdoor Wedding Aisle Ideas we provide are a class apart. We use the best decorations and ensure that all the features are well-finished and look stunning in every way. For any more information about our solutions, the number to call is- 0418 624 225. Speak with our experts about your requirements and they will provide you with various options for you to choose from. You can also send us the details about your special day via this online form, and our knowledgeable, friendly and professional experts will call you soon, to discuss the plans and budget. When you are planning an outdoor wedding, you want the backdrop to be complemented with the right kind of decorations and décor. 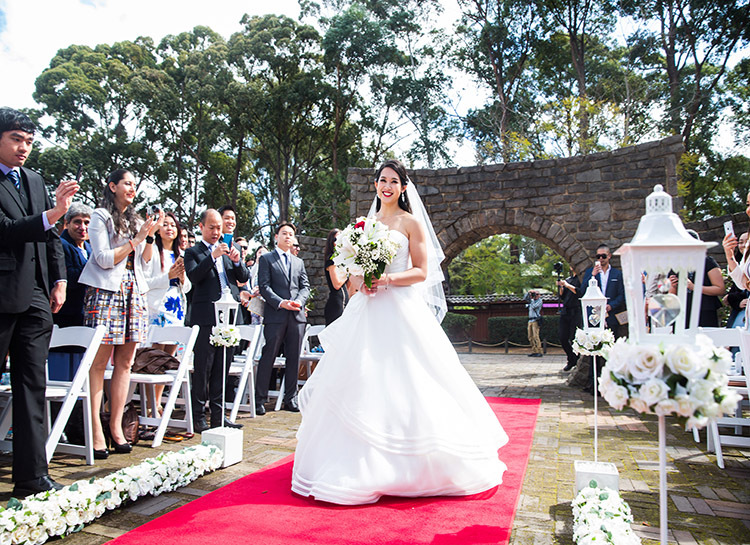 With this in mind, many couples opt for Wedding Arbour Hire in Sydney. An arbour is an excellent option for a unique outdoor wedding ceremony. We at Adorable Wedding Concepts have a number of options and styles or arbours on offer; these can become the perfect way to show off the theme of your venue, right from the time your guests arrive at the venue. We are one of the foremost outdoor wedding decorators in the region and have over 15 years of experience under our belt. We are a highly customer-centric company and focus on providing customers options they would love to add to their wedding venue. Not only do we provide Wedding Arbours for Hire, but we also provide a large number of wedding backdrops to go with the arches. You will find that these are extremely stylish and elegant. Today, adding arches and arbours to a wedding venue have become a very popular trend, and are perfect for weddings that are being conducted in an outdoor venue. All the wedding arches we offer are specially designed & built with outdoor wedding venues in mind. We are also aware that many gardens and parks don’t permit staking and this is why we also offer arches that don’t require staking. Regardless of whether you want only one arch or arbour, or multiple ones across the venue, we can provide you the solutions you need. We are the multiple award-winning decorators that can provide you the kind of Wedding Arches for Hire you require. Feel free to call us at Adorable Wedding Concepts with your wedding event requirements. The number to call is- 0418624225. You can also send us the details about your special day via this online form, and our knowledgeable, friendly and professional experts will call you soon, to discuss the plans and budget. 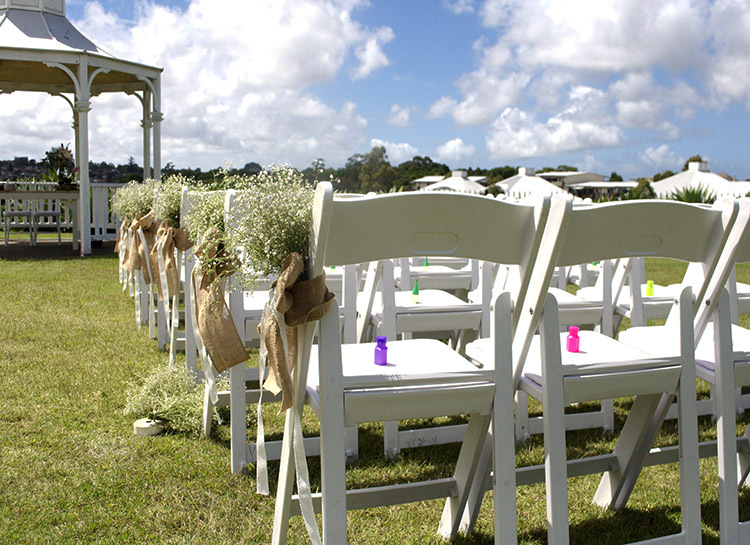 Decorations for Outdoor Weddings in Sydney are a very important aspect of any wedding planning. No matter how simple the event, there are bound to be a certain number of decorative elements. Every couple has very specific requirements when it comes to the ambience of their wedding venue; it’s why we at Adorable Wedding Concepts provide a range of a Wedding Ceremony Decoration Packages. While these packages have some standard features and inclusions, we can customise them to match your requirements. Very simply put, when it comes to Decoration Ideas for Outdoor Weddings, we are the experts that outdo ourselves every single time. We know that our customers look for uniqueness and we provide solutions that match their requirements to the tee. We are focused on providing our customers high value for money at very competitive pricing. Our experts work very closely with you to ensure you are 100% satisfied with the decorations we provide. There are times when couples feel that outdoor wedding decorations will be very heavy on the pocket. But this isn’t the case; we understand that every customer will have specific requirements and so we provide excellent Wedding Decoration Ideas on a Budget. You are sure to find something you like and decoration elements that will impress your guests too. We provide decorations for the chairs, arbours and boughs as well as arches and for lining the aisle area.